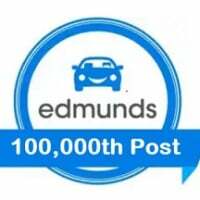 Welcome to the Edmunds discussion dedicated to 2014 Nissan Leaf leasing questions. Here you can find and discuss all the latest lease details for the 2014 Leaf, including cap costs, money factors, residual values, acquisition fees, etc. Please post any leasing questions you have or any details you’d like to share about your own lease deals. You can also research local dealer inventory and pricing, reviews, features, and specifications, on our 2014 Nissan Leaf page. folks, I have been given below offer, are these are good lease terms? Folks, please let me know is it under good terms? Bit worried when talking to sales guy and not sure what else to talk. Appreciate your time and help. So..it's $2500 upfront and $194/mo. for a car that you could buy for about $20K + tax.. The Leaf is a complicated deal, with big incentives, due to the tax credit that the leasing company gets from the government. For a car that stickers over $30K, your cost of about $255/mo, seems reasonable.. I'm looking for the May residual and money factors for 24 and 36 month leases with 12k miles on a Leaf SL. What he said ... right on the money. Hi guys, please provide with MF and residual 36/10k and 12k . Thank you. Sorry forgot to mansion that. Looking for basic S trim. Hi guys, please provide with MF and residual 36/10k and 12k . S trim Thank you. Good Day, I'm looking to find out what June's residual and MF for a SL 12k miles, 2 years in GA. Thanks! Wow, a 5 pt. drop in residual over June. Could I trouble you for a residual and MF for a 2014 Leaf SL, 12K/3 years? Thank you much. A local dealer has nine(!) new 2013 Leafs. I know this is a 2014 thread, but does anyone have residuals and MFs for 2 years/24k on an SL and an SV w/quick charge? Thanks. Can I please get the residuals and MFs on 2014 Leaf S/SV/SL for 36mo/10K? It seems like there is a $9425 lease rebate according to their lease offer details. .00003 MF and 38%/39%/40% residual. I'm not sure of the incentives or rebates, as they may vary regionally. It is at least $7500, though. Can I get a confirmation on MF and residual for a 14 SL @24 months / 12k miles? Same info for a 15 SL as well? All tier 1 / top tier. Thanks! Can I get a confirmation on MF and residual for a 14 SL 24 months / 12k miles? Thanks for the quick reply @Michaell ! Thanks for the quick reply Michaell ! Yeah, it doesn't normally work that way. Are these figures nationwide? If not, can you provide same numbers for NC?